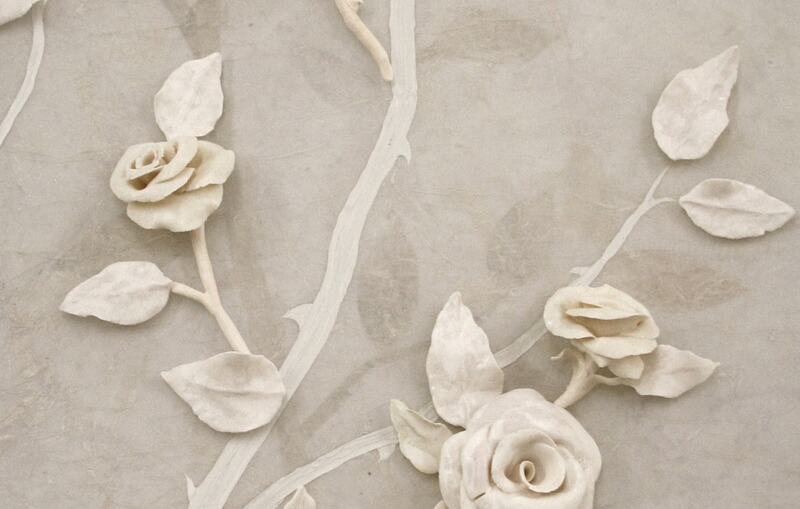 Elegant flowers handmade from porcelain spring to life in this resplendent surface. 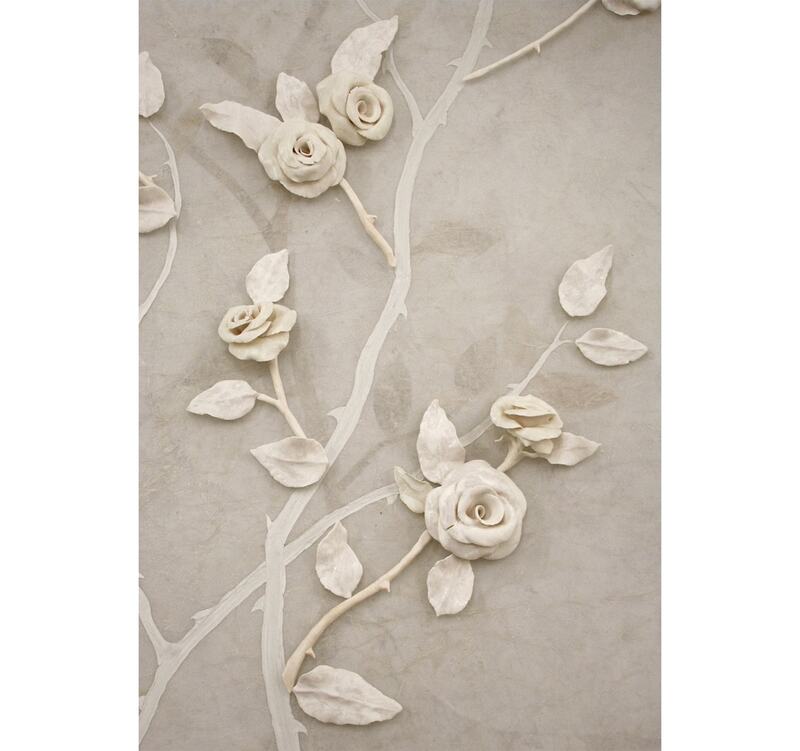 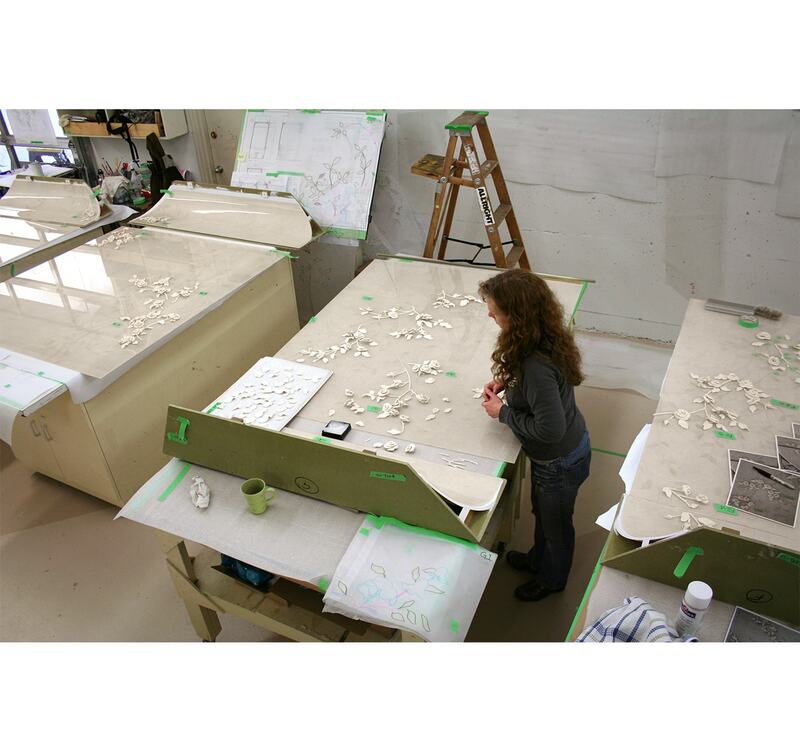 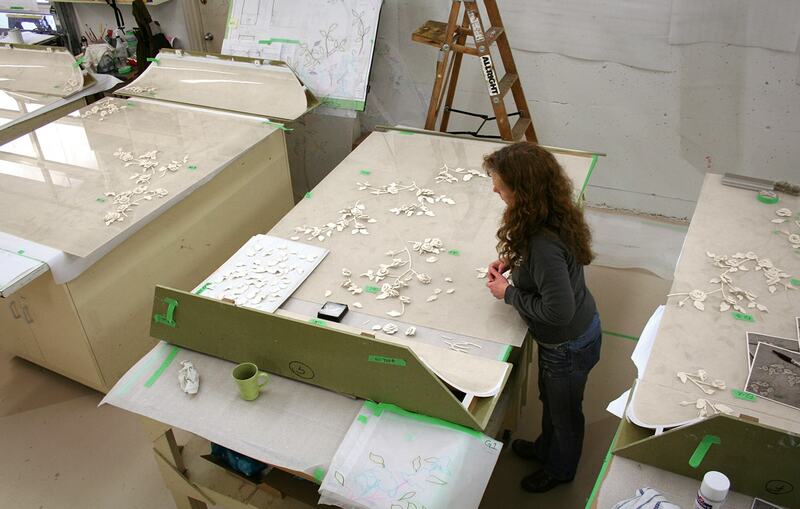 Composed of a soft, organic colour palette, each panel is crafted using meticulously sculpted porcelain on tempered glass. 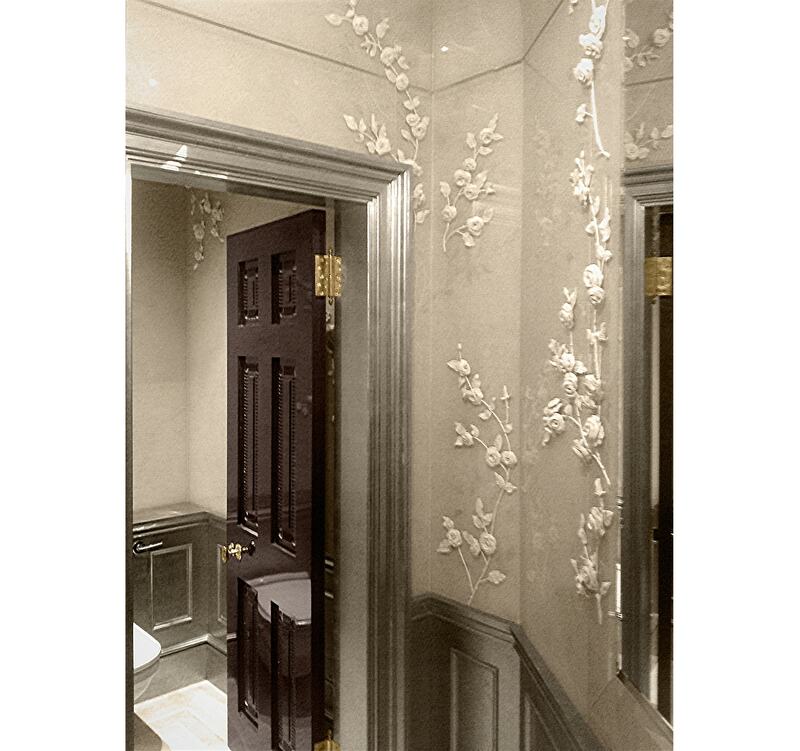 Part of our Gorman Studios collection, a series of handmade, world leading wall and ceiling designs.